Though our portion this week is entitled “Life of Sarah,” it curiously records both her’s and Abraham’s death, though, in actuality, he lives another 38 years. Scripture inserts the death of the saints in the narrative when their mission is complete. Like Noah and Shem before him, Abraham remains alive in the background to influence and intercede for his descendants. Because Sarah’s demise follows on the heels of the akeida [binding of Isaac] which we studied last week, many commentators believe that Sarah’s death was somehow attributed to it. The classical rabbis have puzzled over this and speculated much as to the reason why Sarah was at Hebron and Abraham was at Beersheba. As the story unfolds, we see that Isaac appears to be in yet a third location and no conversation is recorded ever again between father and son after the trip to Moriah. The akeida resulted in the separation of Abraham’s camp. As the deeds of the fathers are a portent for the children, we can look to history being repeated and, most certainly, we find that in the aftermath of the crucifixion of Jesus/Yeshua, God’s family was divided. 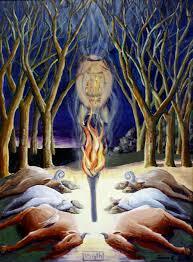 It was at Hebron where the “smoking furnace” and “burning torch” sealed the covenant by walking among the pieces. It was also at Hebron where Sarai had entreated Abram to make Hagar his wife. Remembering the grief and pain of her decision, perhaps Sarah thought Abraham was about to make a similar mistake. It was in Hebron where Abraham circumcised himself and all of the men in his camp. Lastly, it was in Hebron, where, as we saw last week, Yeshua, Yahweh in the flesh, visited Abraham. (Gen 18:1 ff) On that “great day,” as we might call it, Sarah received the unbelievable glad tidings of great joy that she would bear a son “next year” and Abraham was given the unbearable news that Sodom, where Lot dwelt with his family, was about to be destroyed. Picturing the Bride, Abraham had seized the opportunity to intercede for “the righteous” and was rewarded by the deliverance of Lot and his daughters, who would become, through Ruth the Moabite, the ancestors of Messiah! We are not told where Abraham’s tent was located when God instructed him to go to Moriah. If the narrative is chronological, perhaps he was sojourning in the land of the Philistines, possibly Gerar or Beersheva. No doubt, Abraham had wrestled all night with God. Did he wake Sarah and pour out his heart? Did she think her husband had gone mad? She knew her husband’s fierce determination to obey. If Abraham believed he had heard God’s voice, he would most certainly do it. The grief-stricken Sarah’s only hope, I believe, was to rush to plead with God at the very location where God made the promises. If she was in Gerar or Beersheva, it would be a two day journey of some 50 miles for an old woman. But, she had time. 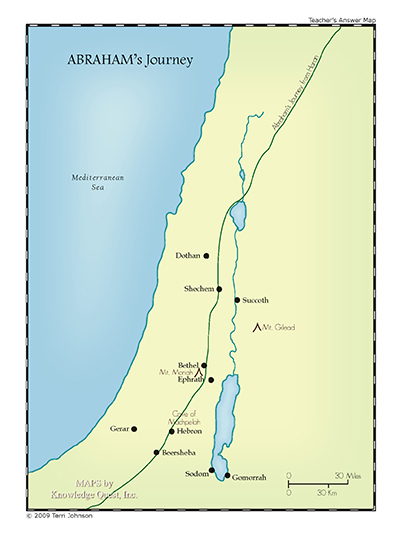 Abraham’s journey to Moriah would take three days. We can only imagine the haste with which Sarah gathered her belonging, the tears that watered the road to Hebron, and the depth of supplication Sarah made on behalf of husband and son. Whether he met a messenger on the road back from Moriah we can only guess; but, there is no need to speculate as to the enormity of Abraham’s shock and grief upon learning of the loss of his wife. While God had spared Isaac, incredibly, now, Sarah was dead. But, Abraham’s excruciating pain would have to wait. The grieving patriarch must set aside his emotions in order to secure a burial plot. “Abraham rose up from before his dead” (Gen 23:3) to pay a visit to the Hittites, one of the ten nations of whom God said Abraham’s descendants would receive their land. (Gen 15:20) Abraham presented his request to the elders at the city gates. The irony of this request is that though Abraham has now lived in the Promised Land for more than sixty years, he possesses not even so much as a scrap for a burial plot. 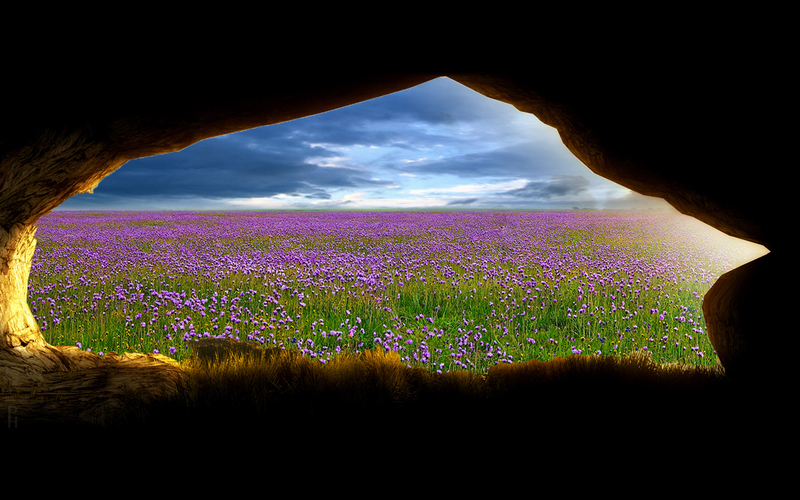 Ah, but God will use this occasion to give Abram much more than a tomb. Though it will prove to be very costly, God apparently wants him to have an entire “field.” We will come back to that curious thought; but let’s listen in to the negotiations. When approached about the sale, Ephron effectively responds in the hearing of the locals, “It is my privilege to give it to you!” Some commentators believe this is a ruse; others believe it is simply the model of Eastern negotiating. 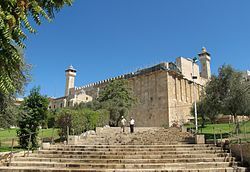 We will see that this was an exorbitant price; yet, Abraham did not bat an eye. .
Jewish tradition teaches that Abraham jumped at the chance to own this property because he knew that Adam and Eve were buried here. The Jewish Encyclopedia reports that “Machpelah” means “the doubled one” because it was a 2-story cave of four compartments that ultimately would contain the graves of four couples, Adam and Eve, Abraham and Sarah, Isaac and Rebekah, Jacob and Leah. Other sources point to it further as the gateway to the Garden of Eden. There is so much that could be said; but we must move on. So, with hearts of gratitude for Sarai, the “princess” and Sarah the “noblewoman” who taught us how to submit to our husbands, how to gracefully pack up and leave home, culture, and comfort zone, even at age 65, we say goodbye to the grand and beautiful lady whose sole desire was to love a nomadic shepherd bent on telling the world about his great God and to be the mother of his children. With Sarah’s passing, Abraham turns his attention to a bride for Isaac. How else can Abraham receive all of the promises of God? No doubt this had been the subject of many a discussion between Abraham and Sarah, and, perhaps, Isaac was included. Surely the righteous couple had tearfully explained to Isaac their mistake of getting ahead of God; and, surely there had been much pleading to Heaven on Isaac’s behalf, lest another “Ishmael” be the result. This “servant” is most likely Eliezer, the one whom Abram had once assumed would be his heir. 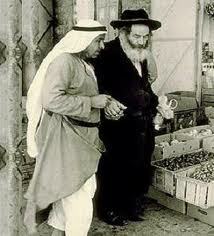 (Gen 15:2) If so, he would have been in Abram’s employ for over sixty years. The rabbis say he was far more than a servant; he was the “rosh yeshiva” or head of the school where Abraham trained disciples. As such, he would have been a man dedicated to prayer, an excellent judge of character, and, therefore, the natural agent for such a task. Before Abraham sends him out, he makes certain “the servant” understands the importance of the mission. In Abraham’s day, it was customary for people to place one’s hand on a sacred object before making an oath. The heathen would use symbols of their gods for such a purpose. (This is the origin of people today placing their hand upon the Bible before giving testimony in court.) But, because Yahweh allows no images of Him, Abraham sought for another way to underscore his servant’s assignment. “Put your hand under my thigh” is a euphemism. Whether literally or figuratively, the patriarch actually asked the servant to place his hand on Abraham’s circumcised male organ as a reminder of the covenant, Abraham’s commitment to God, and, as well, to Isaac’s miraculous birth. His request, though perhaps shocking to our culture, would have been quite meaningful to the trusted servant, who had been with his master through thick and thin, and was certainly among those whom Abraham had circumcised. Abraham’s instructions were implicit; Isaac must never, under any circumstances, go to Babylon. Rather, Abraham’s instruction is emphatic. The bride was to “come out from among them.” If the woman refused, the mission was to be abandoned. 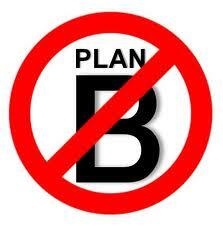 There was no “Plan B.” If the bride refused, there would be no marriage, no consummation, no descendants. The promise that Abraham would be a blessing to all the families of the earth would be aborted. Note that, like Gideon, this man of faith understands how to use a “fleece” to determine God’s will in a particularly important or difficult assignment. While the servant left nothing to chance, he relied fully on the Providence of God. What an example for us! The servant’s faith was not in vain. So eager was the LORD to answer this prayer that before it was even out of the servant’s mouth, the bride appeared! These names present quite a picture. Nahor, Rebekah’s grandfather (Abraham’s brother), means “snorer.” His wife Milcah’s name means “queen” or “ruler.” Milcah is sister to Lot, whose name we learned last week means “veiled,” another way of saying that he was “blind.” Bethuel, Rebekah’s father, means “destroyed of God” and there is no mention of his having a wife or Rebekah having a mother. Most interesting is that Rebekah means “ensnarer.” Yikes! Who would give their children such names! 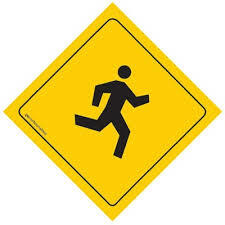 Don’t forget that down the road it is Rebekah who will tempt Jacob into pretending to be Esau and, indeed, cause him to fall into the snare of the fowler. Parents, be very careful what you name your children!!! Like Gideon’s “fleece”(Judges 6:38), the answer to the servant’s prayer could only be possible with God’s intervention. 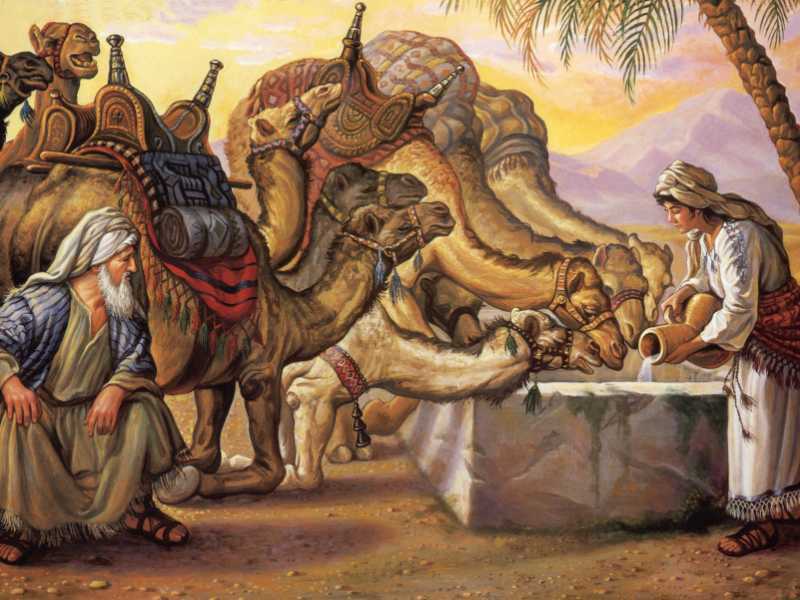 The Sages say that it would have taken TEN “pitchers” (or large jars) of water for EACH of the ten camels. 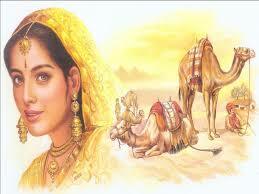 National Geographic reports that a thirsty camel can drink 30 gallons in minutes. To water ten camels was no small feat. 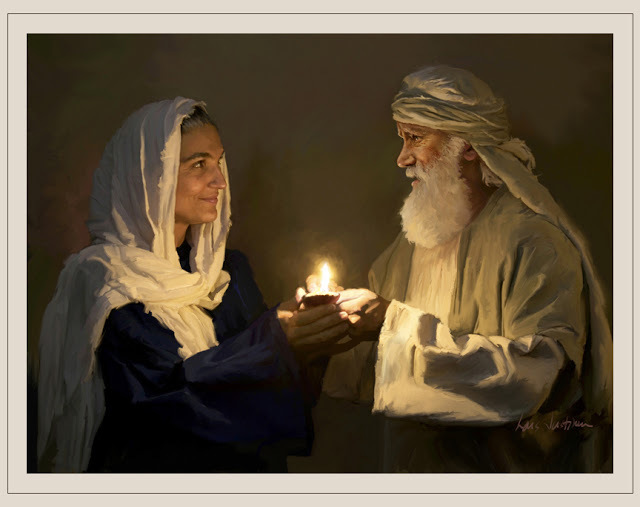 Eliezer knew that no ordinary woman would offer such service and, minus the power of God, no woman could have done it. God supernaturally empowered Rebekah in order to assure the servant had found the bride of His choice. The bride for Isaac would be just as eager to serve a stranger as were Abraham and Sarah. The text is undoubtedly speaking of her grandmother Milkah. The “Queen” or “Ruler” will attempt to delay Rebekah’s leaving, as we will see. At the appearance of the jewelry, brother Laban rushes into action. We have to stop here and consider that these people know God by name! 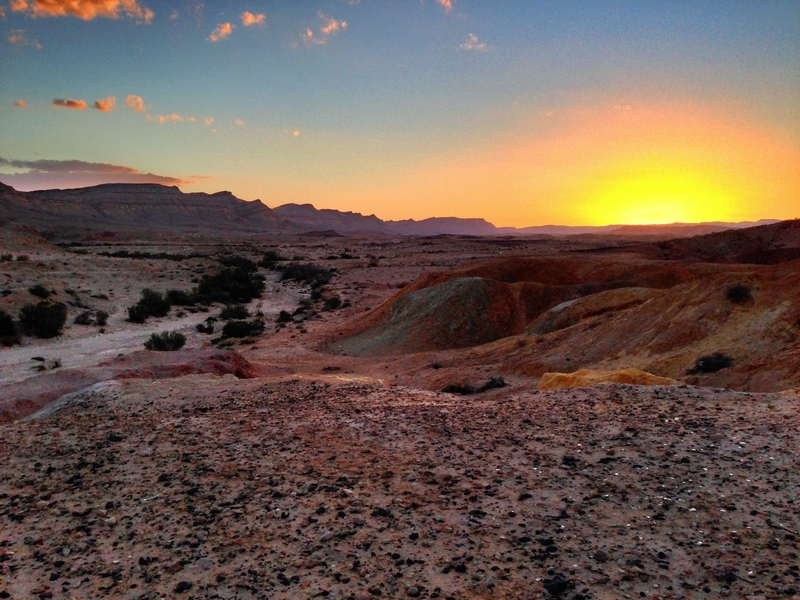 Though Abraham’s father, Terah, was an idol maker; his great-grandson uses the name of Yahweh. Somehow, the gospel, or at least part of it, has made its way into this household. was it because of Abraham’s influence before he left Haran? 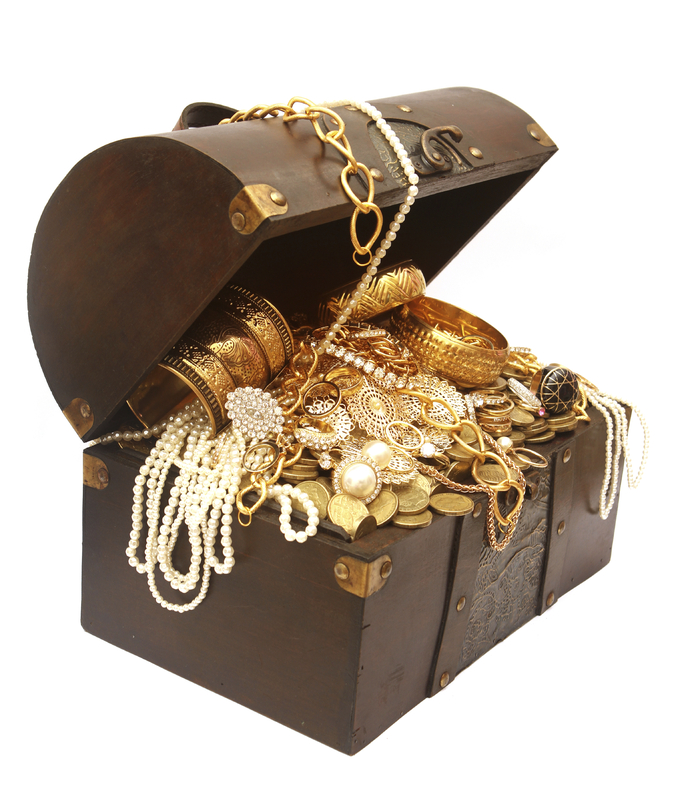 In addition, Rebekah received two bracelets, each ten shekels of gold. These, I believe, represent the Ten Commandments, which were written on two tablets, to which she would willingly bind herself. Remember, the LORD said, “For I know him, that he will command his children and his household after him, and they shall keep the way of the LORD, to do justice and judgment; that the LORD may bring upon Abraham that which he hath spoken of him. (Gen. 18:19). Ruach Ha Kodesh (the Holy Spirit) is pictured by this faithful servant! He speaks nothing of himself, he seeks nothing for himself. He speaks only good and true things about his master. He is expedient and diligent. He does everything possible to grant success to his master’s mission. He follows his master’s instructions implicitly. He finds the perfect bride for Isaac and he doesn’t stop until he brings her to the Promised Land. Again, on the surface, these people appear to know God. Hearing their consent, the servant bowed himself to the ground before the LORD to offer praise; then he distributed more jewelry and clothing to Rebekah, as well as gifts to her relatives, before finally eating and drinking himself. While this might seem a reasonable request to us today, Laban will later prove in response to a similar request by Jacob, that ten days might well turn into ten years. When the servant wisely insisted on immediate departure, Rebekah was summoned and asked, “Will you go with this man?” (Gen 24:58) Surely, her family must have reasoned, she will beg for time to prepare herself to leave her country, her family, her father’s house, and her comfort zone! But, to their great surprise, I’m sure, Rebekah readily agreed to leave immediately. Selah! My children, selah! How quickly one’s status can change! It reminds me of Joseph’s being in prison, when Pharaoh sent someone to fetch him. In the twinkling of an eye, he was made second-in-command to Egypt. Could it be that Rebekah was also in captivity of sorts? Did God, in response to Abraham and Sarah’s intercession, open Rebekah’s blinded eyes to see her dangerous state? Did He enable her to perceive that her father’s house was soon to be destroyed because of the sleeping grandfather and the ruling queen? Were her eyes opened to see the “ensnarer” crouching at the door of her home in Babylon? Had the LORD been preparing her to lech lecha (go out for yourself!”), even as he had done for Abraham and Sarah? Did He whisper to Rebekah the words He would later speak through Jeremiah and Isaiah and Paul for His people to flee idolatry? The Haftarah for this week’s portion is about another beautiful virgin who was sought to serve King David. Just as King David is a type of Jesus/Yeshua, so is Abishag a type of those who serve the Savior. Though Abishag served the king, she did not receive the king’s seed. 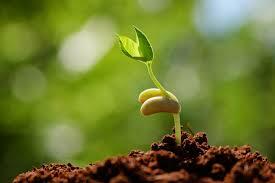 In the parable of the sower, Yeshua said the “seed” is the “word of God.” (Luke 8:11). There are people who appear to be close to God and who serve Him and even call Him by name; but, they do not receive the “word of God.” We have established that “the word,” the Torah,” and “the covenant” are equivalent terms. Those who fail to receive the king’s seed do not enjoy the intimacy that He freely bestows to those who keep His commandments. Further, they are barren, failing to produce the fruit of the seed, which is to raise up godly offspring, as God expected Abraham, and teach disciples. God passionately pursued Abraham because Abraham kept His commandments, statutes, and Torah (Gen. 26:5). “For I know him” is a term of intimacy and “the way of the LORD” is a euphemism for the marriage contract, or “ketubah” that was presented to Israel, the Bride, at Mount Sinai. 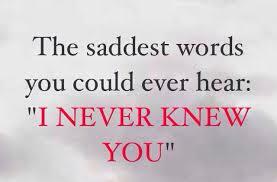 “The king knew her not.” This phrase makes me shiver as I recall Yeshua’s words. To keep God’s word is to stay on the narrow path so that we can be holy as our God is holy. His instruction shows us how to maintain the righteousness we obtain when we come to belief in Jesus/Yeshua. It defines sin and shows us how to be blameless or tawmeem. For a complete study on this idea, see Noach and Lech Lecha. 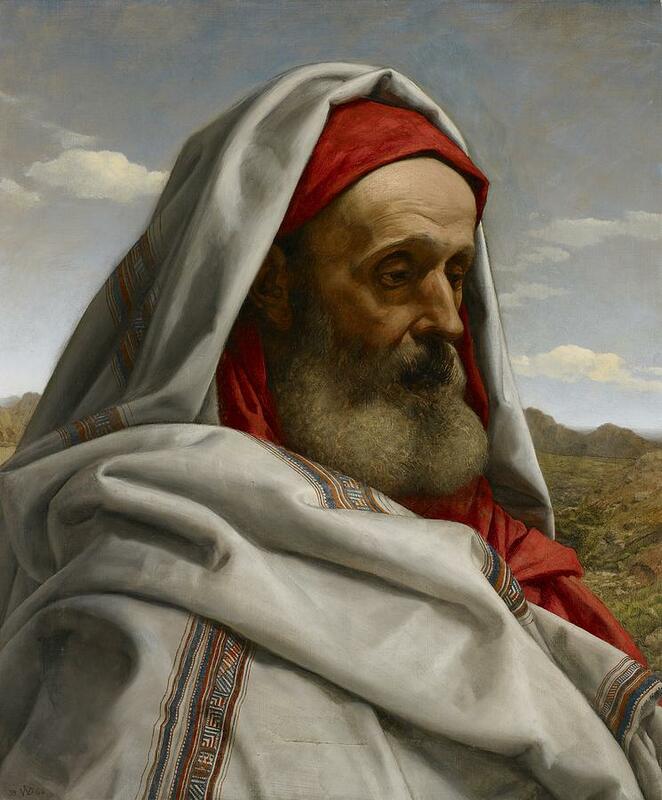 It had been about 3 years, according to the sages, since the akeida and Sarah’s death, when we see Isaac coming from Beer-Lahai-Roi, the place in the wilderness that Hagar had named “The well of the God Who Sees.” Did he go there to plead for himself? What Isaac’s eyes beheld was exceedingly, abundantly more than all he could ask or think. But he wasn’t the only one. I am told the Hebrew literally says that Rebekah “fell off her camel!” Never in her wildest dreams did Rebekah imagine such a husband. Modestly, she veiled herself until she could recover from the long journey and prepare for a proper meeting. Meanwhile, the servant reported to Isaac the amazing answers to Abraham’s prayer. No doubt, Isaac was as captivated (shall we say “ensnared”?) by the servant’s report as he was with Rebekah’s beauty. What follows is a wedding! The bride settled into Sarah’s tent, Abraham’s mission is nearly complete. But, first, he marries Keturah, whom some believe was actually Hagar with a new name, indicating a new heart. Keturah’s offspring will be both friend and foe to Israel, as we shall see. That Keturah bore Abraham six sons demonstrates his restored virility extended far beyond Isaac’s conception. And, so, along with Sarah, we say goodbye also to Abraham aveinu (our father). What a truly remarkable life! In our quest to understand what caused God to passionately pursue this great man, we have developed a list of attributes, most certainly not exhaustive. Please include your additions and thoughts by way of comments. Abram “made souls” in Haran (Gen. 12:5); therefore spreading the gospel. In obedience, Abram departed his father’s household (12:5) who “served idols” (Joshua 24:2). When famine came, Abram did not return to Babylon. 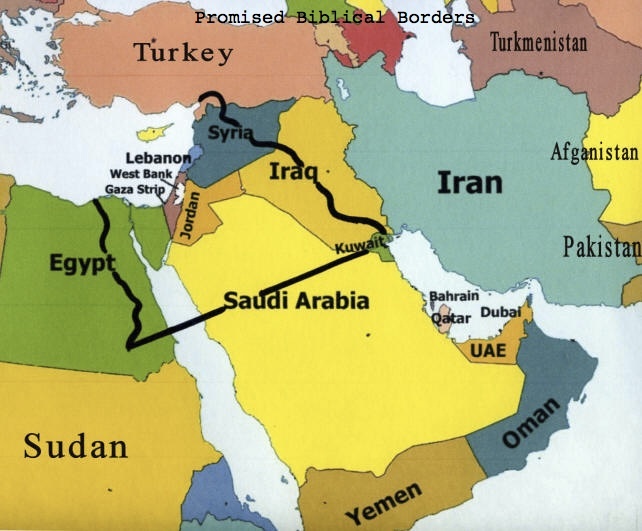 He went to Egypt; but, the land promised to Abraham includes a portion of Egypt. Abram avoided becoming a reproach to the name of Yahweh by urging Lot to separate from him. Abraham intervened when Lot was taken captive. Abraham refused the spoils of Sodom. In obedience, Abraham sent Hagar and Ishmael away. In obedience, Abraham circumcised himself and all of his men immediately. In obedience, Abraham offered Isaac. In obedience, Abraham kept God’s commandments, statutes, and Torah. Abraham did not flinch at the cost of buying the field. And without faith it is impossible to please him, for whoever would draw near to God must believe that he exists and that he rewards those who seek him…By faith Abraham obeyed when he was called to go out to a place that he was to receive as an inheritance. And he went out, not knowing where he was going. By faith he went to live in the land of promise, as in a foreign land, living in tents with Isaac and Jacob, heirs with him of the same promise; for he was looking forward to the city that has foundations, whose designer and builder is God. By faith Sarah herself received power to conceive, even when she was past the age, since she considered him faithful who had promised. Therefore from one man, and him as good as dead, were born descendants as many as the stars of heaven and as many as the innumerable grains of sand by the seashore. In closing, Sarah’s departure and the bride’s arrival are curiously connected with a “field.” In His Parable of the Sower, Yeshua teaches that the world is “the field.” (Mat 13:38) He told His disciples that the “field” is “white unto harvest” (John 4:35) and that the “field” contains the “pearl of great price.” (Mat 13:44) The purpose of the Bride, according to Yeshua, is to “go therefore into all the field [world] and make disciples, teaching them to observe whatsoever things I have commanded you.” I submit to you that just as Abraham paid an exorbitant price to purchase the field where his wife would be buried (hidden), so did Jesus/Yeshua pay an exorbitant price to purchase the field [world], where His bride would be hidden. Selah! Dear children, the question posed to the bride should be ringing in your ears as this lesson comes to an end. May it be that when we meet Abraham and Sarah, and Rebekah and Isaac, that they “lift up their eyes, and see and behold!” and even fall off their camels when they see us appearing! The insites brought forth here makes me ask myself “How am I doing in preparing myself as a worthy daughter” Do I meet the standards in Abram’s List. Am I being a witness that Father God can be proud of? Becoming His daughter is far more than saying “I believe” reminding me it all comes down to being a woman of faith, believing that when I Shema “hear and DO His Word” because of my love for Him, we both will be blessed. I am examining my heart during this teaching, would you walk away and trust him no matter what he ask of you? My answer is getting closer to Yahweh’s will but there are things like medications and health issues that I struggle with. 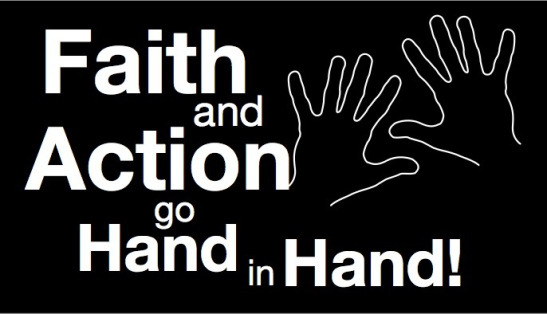 I want to walk in full faith with Yeshua with every issue. After reading this twice I wanted to pack up and see if anyone was ready to leave Babylon with me. The obvious power of Yahweh was so prevalent in these stories of our forefathers, he was always on time when they had no where to turn. Father please help me to study and read to be a disciple that you can use. Thank you Ms Cathy for another beautiful insight into Yahweh’s word. I appreciate you and I love you!